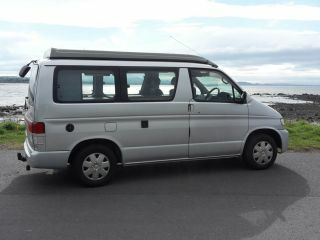 Motorhome hire in Inverness has never been as easy, accessible and cheap as with Goboony! Through Goboony, you’ll be able to find a campervan for hire in Inverness with a private owner, searching through a wide selection of available vans. You’ll be able to filter your selection for number of people, amenities and more, finding a motorhome rental that is ideal for you. Asking the private owner any questions or queries you may have, you’ll feel secure and pleased with your rental. Through Goboony, your motorhome hire in Inverness is a simple search away. The campsites in Inverness are sure to bring you back to the roots of camping, and to allow you to truly enjoy the beautiful nature of this area. Loch Ness Bay Camping is a small family-run touring park, situated approximately half a mile from Drumnadrochit. It is a 25 minute drive, or a 40 minute bus ride to Inverness, allowing you to enjoy both the tranquility of the countryside and the city itself. The campsite is also a 15 minutes’ walk from the western shore of Loch Ness, so you’ll be able to walk the infamous shores and keep an eye out for Nessie. The campsite has the basic amenities, and is ideal for those wishing to explore the area and partake in physical activity. The campsite is close to areas for fishing, cruises, golf, swimming, curling and hiking, ensuring you’ll fall into your sleeping bag exhausted each evening. But if you’re looking for a more developed campsite, then you can turn to The Loft, located in Moray. This site is a working farm, growing barley for the local malt whisky production and rearing sheep and goats. It has a communal bothy - a fully-equipped cooking and dining area. But the real highlight of this campsite is the on site bar, with the downstairs bistro offering traditional farmhouse grub to wash down with award-winning wines and local ales. If a bar isn’t quite your scene, you can simply head to the coffee shop on site. One of the most obvious things to do in Inverness is to visit Loch Ness, the home of the legend of Nessie, the Loch Ness monster. Sightings of Nessie date back to the 5th century and the history of this monster can be found at the Loch Ness Visitor Centre, and Nessieland where you can watch the documentary about it. If you drive a few more miles after Loch Ness you’ll find Urquhart Castle, which has changed hands between the Scots and British throughout the centuries. You can visit and explore the remains of the castle, and learn about the many battles that have taken place there.Speaking of battles, whilst in Inverness a trip to the Culloden Battlefield is recommended. In 2008, the Scottish National Trust opened a visitor’s centre to allow you to experience and learn about the highland history and the Jacobite Rising. For it was here at the Culloden Battlefield that the Scottish lost their battle with Britain in 1746, with more than 1500 men slain in their final battle. Be sure to take the time to visit this centre, as it is filled with things to see and learn. It includes a 360 degree video surrounding you with the sights and sounds of the battle, allowing you to feel the chaos and imagine the potent fear. One of the main events in Inverness worth your time are the Highland Games, where better to watch them than in the actual Scottish Highlands? Here you can partake or watch in the numerous events, from sporting to musical to gastronomical! Embrace the Scottish heritage and try stomach a bite of haggis while you’re there. Aside from that, there are numerous other events to visit, ranging from the Loch Ness Marathon every September to the Bonfire Night celebrations in November. At the end of October, there is the annual Loch Ness Knit Fest, a weekend for both beginners and experienced knitters from around the world. It also includes workshops, lectures, exhibitions, concerts, music, dance, fashion shows, delicious food and more!